Americans spent just over $60 billion on their pets last year, a record fueled by a big jump in what owners shelled out for services like grooming, boarding and training. "No, no, no," Vetere said. "I don't see this as a way people are trying to farm out their love for a pet. I think it's a way of increasing exposure to loving people." The proliferation of reality TV shows featuring veterinarians like "The Incredible Dr. Pol" and "Dr. Oakley, Yukon Vet" have focused more attention on the profession. 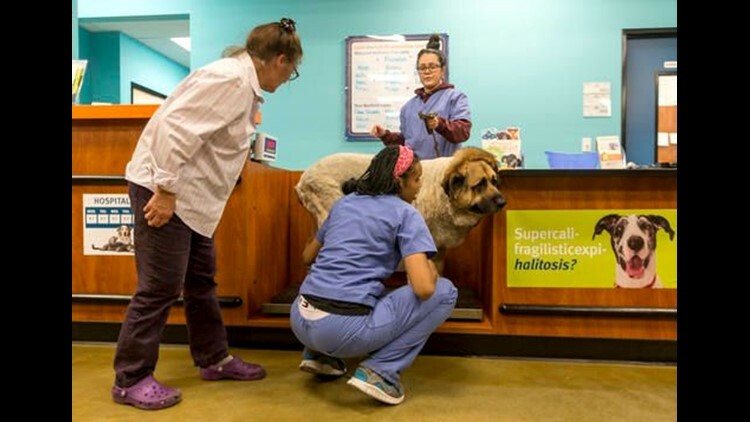 But the spending report found people are turning more to pharmacies, pet stores and food supplement stores for products to increase their animals' health and longevity. "If a pet is sick or injured, today's owner will run to the vet, but routine visits to the vet are down," Vetere said. Americans are spending more to take care of their pets, but they aren't buying as many pets to begin with.